The State of Utah boasts a Great Salt Lake, beautiful landscape and a low crime rate. Many people never consider committing a crime or getting into any kind of legal trouble. However, there are those who do. Their actions can bring a lifetime of hardship not only for them but also for the families involved. Once a person has a criminal record it is difficult to find a job, receive certain services or rent a home. Society may even view that person in a negative way regardless of the charge. In some states, there is an option to clear the criminal history. Utah is one of those states. The state law sets clear guidelines showing how to expunge records in Utah. 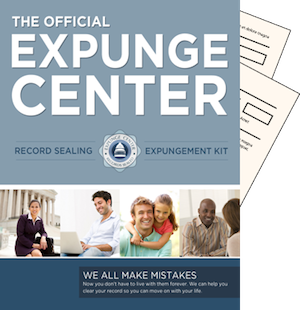 People wishing to pursue legal action to purge criminal charges can benefit from buying a Utah expungement kit. The kit comes with all the necessary information and describes exactly how to proceed through the process. Everything a person needs is available in the kit. There is no need to hire an attorney. The kit provides step-by-step information about the process. To expunge a record in Utah, the petitioner must complete an application for a Certificate of Eligibility. A local police department must take the petitioner’s fingerprints and attach them to the application. Afterwards, the petitioner mails the application and a fee to the Utah Bureau of Criminal Investigation. The applicant will receive notification by mail. Once the petitioner receives the Certificate of Eligibility, the courts receive a request to expunge records in Utah. It is important to file the petition quickly, because the Certificate of Eligibility is not valid after 90 days. Utah law allows the victim in the case to provide a statement objecting to the petition. The court allows a hearing and the victim can attend and present arguments. If there is no victim, the courts can make a ruling without a hearing. The court makes a decision and the clerk sends a certified copy of the order to all agencies having dealt with the offense. If an agency does not receive an order, they will not clear the charge. In Utah, expungement does not erase the offense completely. The record becomes sealed and certain agencies and employers still have access to the offense. What Charges are Eligible for Removal? Utah does not allow petitions on a capital felony, first-degree felony, violent felony, vehicular homicide, felony DUI or any sexual offense requiring registration. A petitioner cannot request a petition if there is false information on the application or if he or she has two or more felonies, three or more Class A misdemeanors, four or more Class B misdemeanors or five or more crimes of any degree. If the petitioner did not have a conviction, then he or she may request a petition 30 days after the arrest. A petitioner can request the criminal history cleared if there are no other pending charges, there was an acquittal, the charge was in error or the statute of limitations expired. The process to erase negative criminal history in Utah is not difficult; however, it can be tedious and time consuming. People can make the process much easier by purchasing a kit. The kit will help them navigate the roads of the legal system. Having records erased can open many doors. Jobs will suddenly become available which lead to better income and more stability. Society will no longer have negative views of the person. Removing or sealing charges can turn lives around.